Watch, taste, and learn from various experts on all things fermented! Workshops and talks will be going on throughout the day. 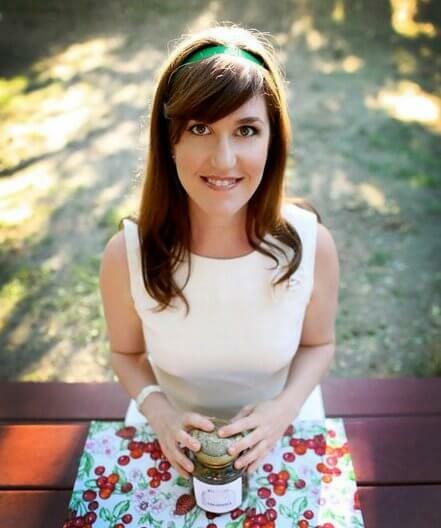 Since 2004, Hannah, aka “The Kombucha Mamma” and founder of Kombucha Kamp, has been brewing Kombucha and educating others about its benefits. What began as hobby has evolved into her passion and lifestyle. From homebrew hobbiest, to educator, to Master Brewer, Hannah has grown her business organically as her experience deepened. Francis is a self taught chocolatier who began in Panama working with indigenous groups promoting Fair Trade & Sustainable forest agriculture with cacao. He has worked on a handful of small chocolate ventures in Panama, Montreal, & now San Diego. Most recently, he created aChocolypse, a small San Diego bean-to-bar start-up dedicated to sourcing beans directly from growers committed to sustainable agroforestry with which to make the highest quality gourmet chocolate. Local baker and founder of Prager Brothers Artisan Breads Louie Prager will discuss the finer points of making naturally leavened and yeasted breads, and will display several different starters. Theron and Kevin bring together almost 20 years of home-brewing experience. They seek out ancient tomes of lost fermentation artistry to find the forgotten, the curative, the surprising and intoxicating recipes that few others dare to try. Their favorite creations include sage beer, dandelion beer, mead (honey wine), and kombucha. 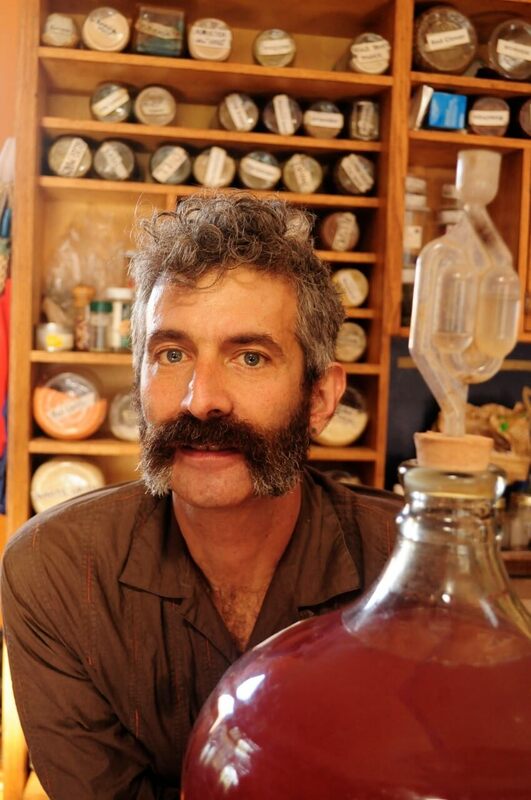 Sandor Ellix Katz is a fermentation revivalist. His books Wild Fermentation (2003) and The Art of Fermentation (2012), along with the hundreds of fermentation workshops he has taught around the world, have helped to catalyze a broad revival of the fermentation arts. A self-taught experimentalist who lives in rural Tennessee, the New York Times calls him “one of the unlikely rock stars of the American food scene.” The Art of Fermentation received a James Beard award, and in 2014, Sandor was honored with the Craig Claiborne Lifetime Achievement Award from the Southern Foodways Alliance. 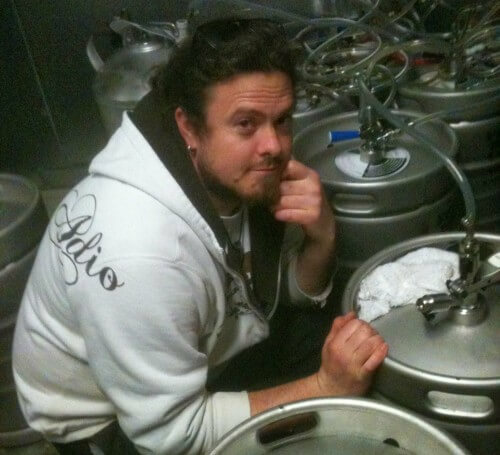 Sandor teaches fermentation workshops in Tennessee and many other places. You will learn how to make Coconut Water Kefir and Cultured Coconut Cream (aka Coconut Yogurt). A yummy, probiotic, healthful time will be had by all! 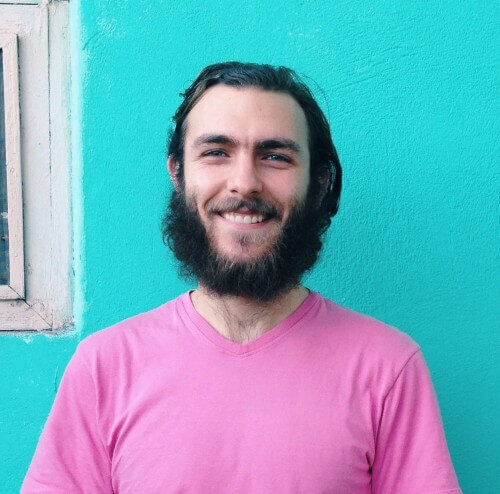 Adam is an educator in the fields of fermentation, natural healing and nutrition. He currently resides in Long Beach and travels around Southern California teaching public and private workshops. 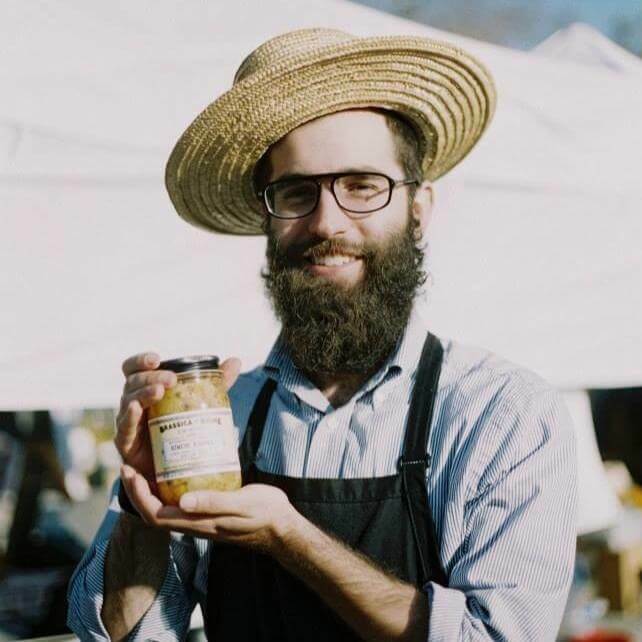 Adam is a practicing herbalist whose passion for fermentation, herbs, and health come together in every jar, crock and carboy. His style and technique are informed by his Egyptian descent and childhood in Saudi Arabia. Uri will present the context of lacto-fermented vegetable foods through history and the modern day, and will demonstrate how to make a successful ferment at home. Uri is the owner and Head Spontaneous Preservationist of Brassica and Brine, a Los Angeles-based organic living foods company. He has spent time living and working on small organic farms in the United States and Israel and practices beekeeping and the culinary arts. Hear about Japanese pickle making and then see a demonstration on how to start, use and maintain a nukadoko pickling bed. 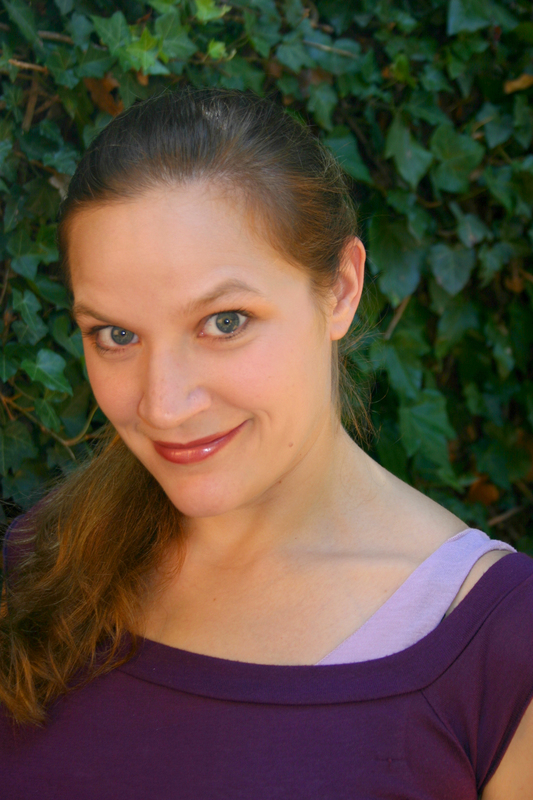 Rachael is the co-founder of Chicks with Knives and a passionate and dedicated Volunteer Master Food Preserver and Master Gardener. She has been teaching cooking for more than 12 years. Her objective is to teach everyone who wants to learn, how to grow, harvest and prepare healthy food, no matter where they live. When she is not teaching knife skills classes, panning for salt or making pickles, Rachael contributes to the L.A. Weekly and is on the Executive Board of Netiya, Just Gardens. Maurey Fletcher is at the forefront of mead making. A homebrewer of 10 years who “went pro” two years ago, Maurey has been innovating and mastering the fermentation of honey with Golden Coast Mead in Oceanside CA. He has a wonderful wife and enjoys zymurgy, good friends, archery, and Viking adventures. Oops–you forgot to include the address or location of the festival. Is there a time table for each speaker so we can plan our day? THANK YOU!!! We just added the schedule (subject to a few minor changes). See you at the festival! There may be some folks giving away kombucha scobies. Also, Kombucha Kamp will definitely have all kinds of starters available for sale.